Inspired by a TedX talk, I share why I do what I do, and ask why you do what you do. This month’s Social Media Breakfast is brought to you by Magnitude Media, DimDim and the Manchester City Library. The Manchester City Library has been a cultural treasure to Manchester and New Hampshire since 1854. In his inaugural address that year, Mayor elect Frederick Smyth proposed the establishment of a free public library for all of Manchester’s citizens. 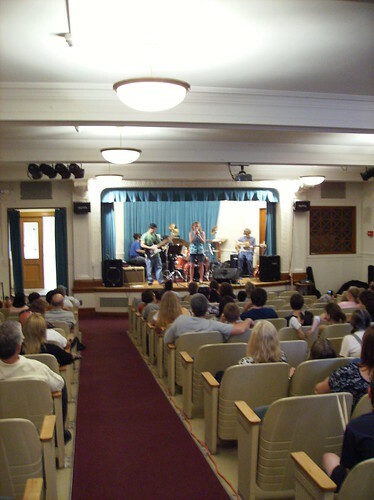 During the previous decade, the Manchester Athenaeum had been used and enjoyed by its members. The Manchester Athenaeum collection was officially transferred to the city on September 6, 1854, bringing to life Mayor Smyth’s dream of a Manchester City Library. (read more history here) The Manchester City Library isn’t stuck in its past, however. It has a thriving technological component, highlighting social media through its blog, Twitter, Facebook, Flickr photos, and more. Thank you to Lichen Rancourt who helped facilitate the Manchester City Library sponsorship for us! The sixth Social Media Breakfast NH (hashtag #smbnh) will be all about topics related to Community. In this struggling economy and shifting paradigm we need to be working together to be more successful and better weather the storm. We should be pulling in all aspects of technology, new media, old media and social media to succeed. This meeting will help us lay the foundation for a richer, better education, tech and new media community in NH. In addition to myself, who will be your host and MC for the morning, you will have three speakers giving three brief presentations on topics relating to the theme for the morning. This is going to be a great breakfast! TO SPONSOR THIS OR A FUTURE SMBNH CONTACT LESLIE POSTON via Twitter, Email or Phone. Let’s make SMBNH crackle with energy and success! See you there! What is on your must read list? I have a few projects coming up that require researching and studying a variety of theories and viewpoints, and I’m actively seeking books I have not considered yet. Do you have a seminal work not listed here you rely on for future theory or psychology/sociology of technology? Does one of these works speak to you? What resonates with you?